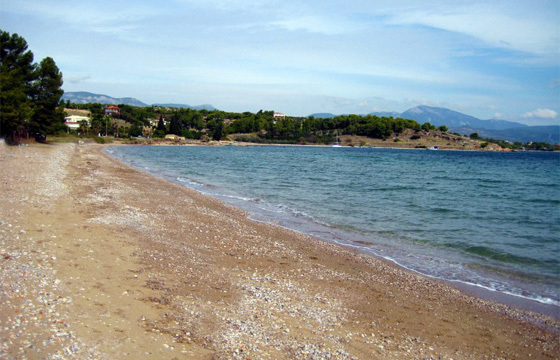 Kechries is considered among the most beautiful beaches of Corinthia due to its size and its fantastic golden sand. Its short distance from Athens (about an hour) makes it a popular swimming destination during the weekends, when it is usually very crowded. However, the waters are almost always clean and the beach is ideal for families, since the sea is quite shallow. Next to the beach, which also hosts a beach bar, there are the ruins of Corinth’s ancient port.